I have this year's batch of stylized totems that I wanted to share. Then it was time to create! 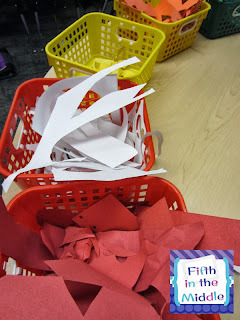 One thing that I've learned was to organize my scraps that the students used by color. This cut down on the number of scraps in a huge, unmanageable pile. Very cute. I had my kiddos roll their paper into a tube after their design was complete to make the totems 3D. Thanks for sharing. Oh my goodness. We just finished ours last week too. We are working on the writing portion now. Students had to write a 4 paragraph paper describing two characteristics they share with the animal. 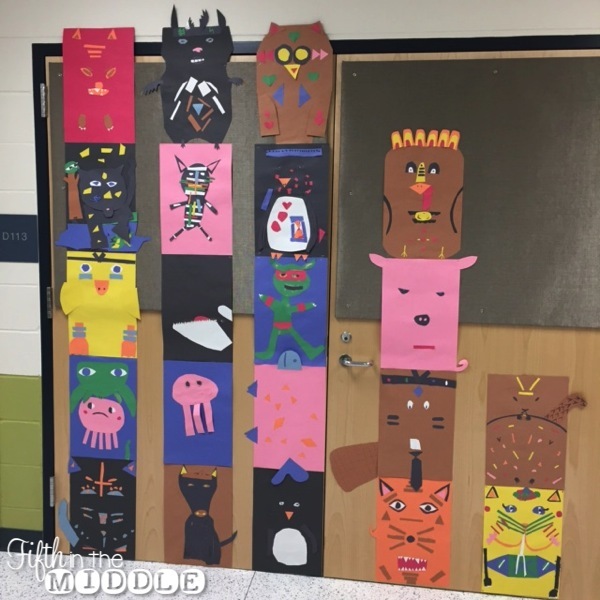 I also plan to build the totem poles and post them up in my classroom or hallway. Yours look amazing! Great job!